Description: Maybe this was a mistake, I thought to myself. I was new to Neopia – only just finished filling in my account opening forms, in fact. Description: It was the day after Lutari Day, and we were taking the day off to enjoy a trip to the beach. Bannok, my young and eternally curious Kyrii, was beside himself with excitement. Description: "Is it a petpet?" Bannok asked, leaning over me to see it. His words made me think of Callum, and I looked around with a flash of panic – but the vacana was fine, sitting on top of the beach bag and watching from a safe distance. Description: "Come on, sleepy head," I said fondly. "Let's get some tea in you, then I think it's off to bed." 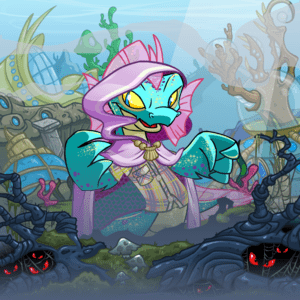 Description: It's like a whole new Neopet. Description: ost of all though, I love my pets, the two bundles of fluff that keep life interesting and give me reason to smile each day. I reminded myself of this at one o'clock in the morning. I love my pets. I do. Description: A collectable card. A toy ball. A stick of red lipstick. Description: "Well, what did you expect?" Bannok asked, adjusting the helm a degree or two to starboard to catch the shifting wind. "Royal pets. Always got to outdo each other, building bigger palaces and throwing fancier parties." The timbers of the Silver Arkmite creaked as she swung around, the salt-soaked ropes slapping against the mast as the sails filled. Description: Midnight came. Midnight went. Half past midnight came and went. At seventeen minutes to one, Sam appeared, bow tie hanging untied around his neck and shirt sleeves rolled up to his elbows. Description: They made sail under the last fringes of darkness, the rosy hue of dawn leeching into the sky above them. Bannok gripped the helm with white knuckled fingers and focussed on staying awake and vertical. Sam could handle the rest of the ship himself, and Niettah - so long as she wasn't getting in the way, that was all Bannok needed.